Birthday in this pile, credit in this pile, ATM in this pile, practical jokers over here. 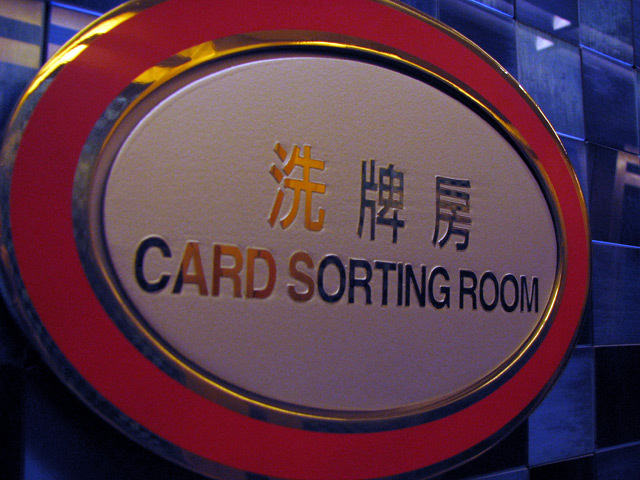 Yeah... it's the Card Sorting Room at Grand Lisboa. Seriously... what do they do in here?